Do you spend all weekend on the slopes, even in heavy snow where the visibility can best be described as somewhat low? 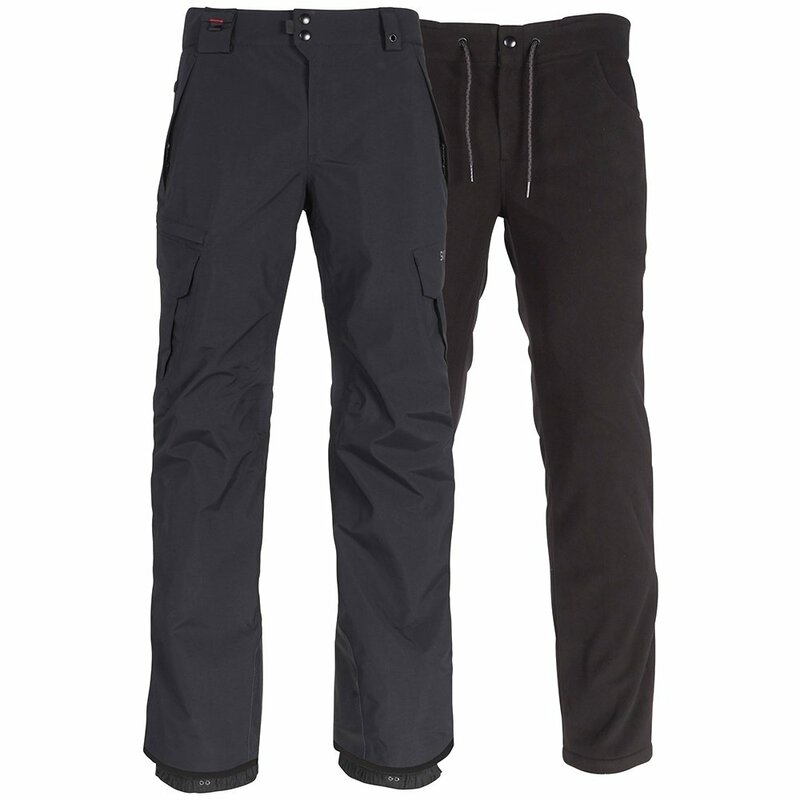 Then the 686 Short Smarty Cargo 3-in-1 Cargo Snowboard Pant is for you since it provides both a waterproof outer layer and a warm, fleece inner layer. This men’s short snowboard pant is also two inches shorter than the regular-length 3-in-1 Pant, ideal for guys with shorter legs. The Duracore® fabric has an infiDRY® 20K waterproofing rating, fully taped seams, and a removable inner layer that no one will know is actually part of your ski pants when you wear it along. Since the 686 Smarty Cargo 3-in-1 Pant is designed to be super waterproof, it's also designed to be super durable, with features like extra strong thread, an anti-drag hem design, wrapped side seams, and reinforced inner ankles. These are short sizes, with an inseam two inches shorter than the standard cut.